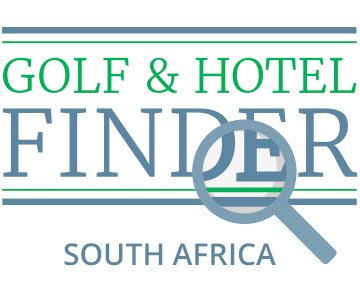 South Africa is one of the world’s top five golf destinations along with Scotland, Ireland, Australia and England. Between Johannesburg, Cape Town, the Garden Route, Durban and Kruger National Park (you read that right) there are about two dozen excellent to fantastic clubs you would make this trip to play. But wait, there’s more ... There’s Cape Town and the Cape Grace Hotel. There’s the Cape Winelands and the Lanzerac Estate Hotel, a private 300 year old working wine estate in the Jonkershoek Valley. There’s the famous Garden Route. And then there is Kruger National Park. The opportunity to combine a stellar golf experience with an iconic capital city ... Read More. wonderful wine and great natural beauty with the thrill of a lifetime bushveld safari is one you will treasure forever. Allow 12-14 days to travel an area three times the size of Texas. You will encounter dramatic South African coastlines, resort beaches, arid deserts, lush coastal forests, majestic mountains and of course the bush. Among the twenty national parks and private game reserves, luxurious lodging offers every chance to sight the Big Five. Two of our favorites are Jock Safari Lodge and Kirkman’s Kamp. Jock was the first luxury lodge built in the heart of Kruger National. First choice means a superb setting which means wildlife viewing beyond compare. Thirty miles north Kirkman’s Kamp occupies a prime position in the Sabi Sand private game reserve which borders Kruger Park. This elegant, 1920s style colonial camp is perched on high ground overlooking the Sand River with glorious views of the Kruger bushveld. The service standards found in the safari camps reflect a culture you’ll find on proud display throughout South Africa. Hoteliers here regularly earn the industry’s highest global accolades. In Cape Town, the bar is set by the Cape Grace Hotel on the Victoria & Alfred Waterfront. Ten minutes away on the slopes of Lion’s Head is the Ellerman House, a boutique hotel with 11 rooms, 2 suites, 2 three-bedroom villas and sensational views over the Atlantic. Twenty minutes from city center in the Constantia Valley is Steenberg, a 24 room hotel surrounded by an award winning winery and an 18-hole championship golf course. The property of choice in the Garden Route region near George is the Fancourt Hotel and specifically the Manor House whose 17 Suites and a master double suite are pampered with 24 hour butler service. The golf you want begins where the game here began in Cape Town of 1885, at Royal Cape, the subsequent host to eleven South Africa Opens and eight national amateurs. Arabella in the Western Cape is a set dramatically alongside the Bot River Lagoon where it earns its top five ranking by compensating for its lack of length with relentless demands for accuracy. Pearl Valley is a Jack Nicklaus Signature club set in the famous Franschhoek Wine region where you can complement a day of play with equally impressive food and wine. The Garden Route is home to the Fancourt courses along with Pinnacle Point in Mossel Bay. Fancourt – The Links is a Gary Player design routinely found among the country’s top 5 which has hosted the 2003 Presidents Cup won by Tiger Woods, the 2005 South Africa Open and the European Tour’s 2012 Volvo Golf Champions. The Links is a walking course with caddies. An hour southwest to the coast and hundreds of feet about the Indian Ocean, is the Peter Matkovich / Darren Clark collaboration at Pinnacle Point. If you’ve played Pebble, or Old Head, or Cape Kidnappers, or Cabot Cliffs, you will recognize a kindred spirit. The view from the bar is equally off the charts. Most amazing of all, hands down (and heads up), you can play the country’s leading (sometimes second leading) golf course along the banks of the Crocodile River found inside Kruger National Park at Leopard Creek. Architect Gary Player says, “Leopard Creek is surrounded by bushveld. You could be playing, one of the best golf courses you’ve ever been on, while a hippopotamus snorts or a wild lion roars. “ The same sponsor of the Alfred Dunhill Links Championship in St Andrews has sponsored the Alfred Dunhill Challenge at Leopard Creek since 2005. Custom Tours to South Africa Priced Entirely Online in 90 Seconds. Or Less.